There is water and there is Gerolsteiner. 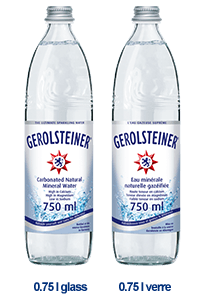 Gerolsteiner Mineral Water is a true miracle of nature: Filtered through the layers of rock in the Volcanic Eifel, the water gathers drop by drop at depths of up to 200 meters. Here it remains protected from outside elements and is, thanks to the carbonic acid, fresh and clear. And this is exactly the way it is when bottled directly at the source – naturally pure and unadulterated. The sparkling thirst quencher with the fresh flavor: Gerolsteiner Sparkling is Germany’s most consumed Mineral Water. The secret to its success is its volcanic origin. 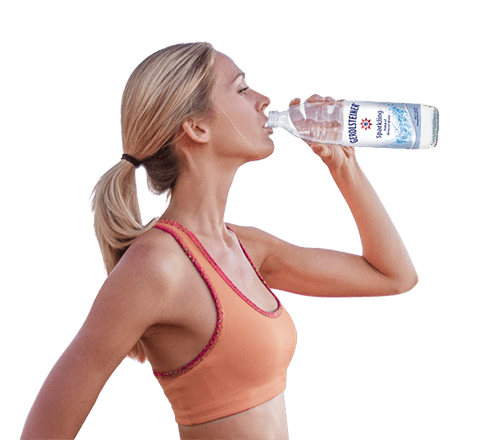 Due to its volcanic origin, Gerolsteiner Mineral Water inherently contains valuable minerals like calcium, magnesium or bicarbonate. It is thus beneficial to the human body and has a pleasantly neutral flavor. One liter of Gerolsteiner Sparkling covers more than a quarter of your daily magnesium requirement (108 mg/l) and even more than a third of the daily requirements for calcium (348 mg/l). Gerolsteiner Sparkling – the sparkling mineral water suitable for every occasion, in the classic glass bottle.